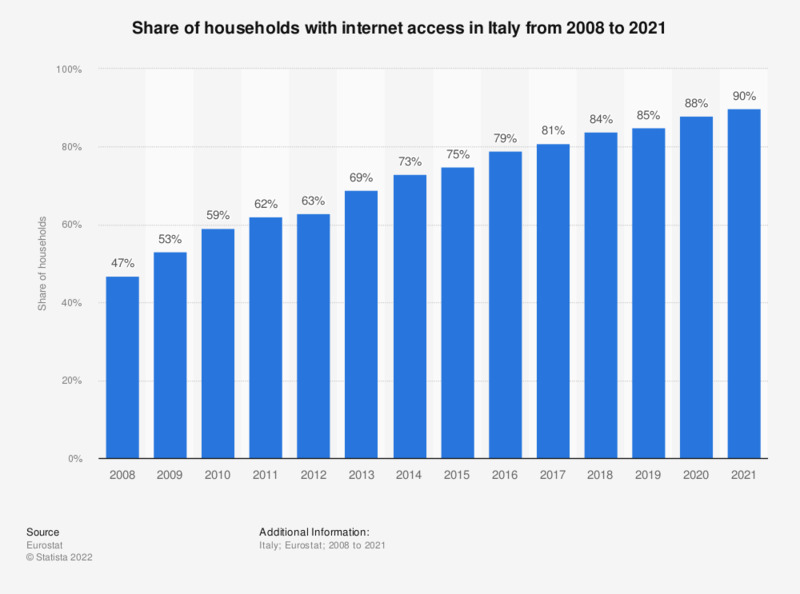 This statistic shows the share of households in Italy that had access to the internet from 2007 to 2018. Internet penetration grew in Italy during this period. In 2018, 84 percent of Italian households had internet access. Everything On "Internet usage in Western Europe" in One Document: Edited and Divided into Handy Chapters. Including Detailed References.